Visit the Downwind Sails oceanfront shack for all your Myrtle Beach water sports needs. Located on Ocean Boulevard and just north of the Springmaid Pier, Downwind Sails is a favorite hangout for local surfers. 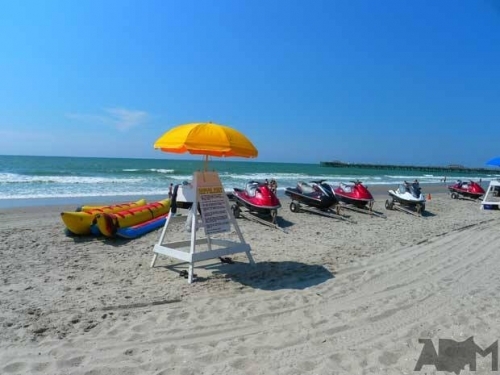 Here you can rent a sailboat, go on a banana boat ride, parasail, rent a Sea Doo and paddle the ocean in a kayak. Open daily in summer, water conditions permitting.